Italian Job for Joe Hart! JOE HART is on the brink of a loan move to Serie A side Torino. The England No.1 has informed Manchester City he wants to move to Italy for the rest of the season.City are in talks with Torino about what percentage of Hart’s £120,000-a-week wages would be paid by each club.Hart, 29, is now third choice keeper at the Etihad Stadium following the arrival of Claudio Bravo from Barcelona last week. City boss Pep Guardiola wants Hart to move on and Premier League club Sunderland were also interested. But Hart prefers a move abroad rather than a relegation fight with the Black Cats. 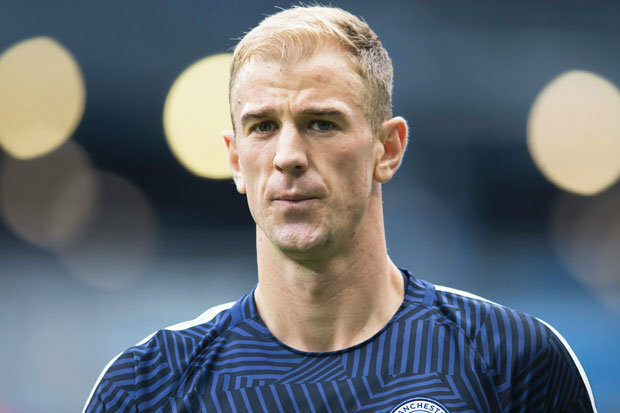 He will fly to Italy in the next 24 hours to complete the move if City agree terms with Torino.The Italian side are currently seventh in Serie A with three points after the opening two games of the campaign and finished 12th last season.Hart is keen for the move to go through because he fears his career could stall and his England place will be under threat because he is not even guaranteed a spot on City’s bench. The keeper has spent 10 years at the club and although this is only a loan move, it is unlikely he will ever play for them again. Hart signed a five-year contract in 2014 but he will not see it out with a permanent move away expected next summer. Another player who could leave is Samir Nasri despite his first appearance of the season in the 3-1 win over West Ham on Sunday. Turkish club Besiktas are holding talks with City about a deal for the Frenchman. Nasri said: “Yes, there could still be movement. It depends on a lot of things in fact.”Sergio Aguero will learn his fate today after elbowing Winston Reid in the clash with the Hammers on Sunday. The FA could hand the Argentina striker a three-match ban if they feel it was violent conduct and referee Andre Marriner confirms he did not see the incident. That would mean Aguero will definitely miss the Manchester derby on September 10. But he is already a doubt for that after pulling out of Argentina’s squad for their World Cup qualifiers against Uruguay and Venezuela with a calf injury.